Observations using ALMA find radioactive isotope aluminum-26 from the remnant CK Vulpeculae. Composite image of CK Vulpeculae, the remains of a double-star collision. This impact launched radioactive molecules into space, as seen in the orange double-lobe structure at the centre. This is an ALMA image of 27-aluminum monofluoride, but the rare isotropic version of AIF resides in the same region. The red, diffuse image is an ALMA image of the broader dust in the region. The blue is optical data from the Gemini observatory. 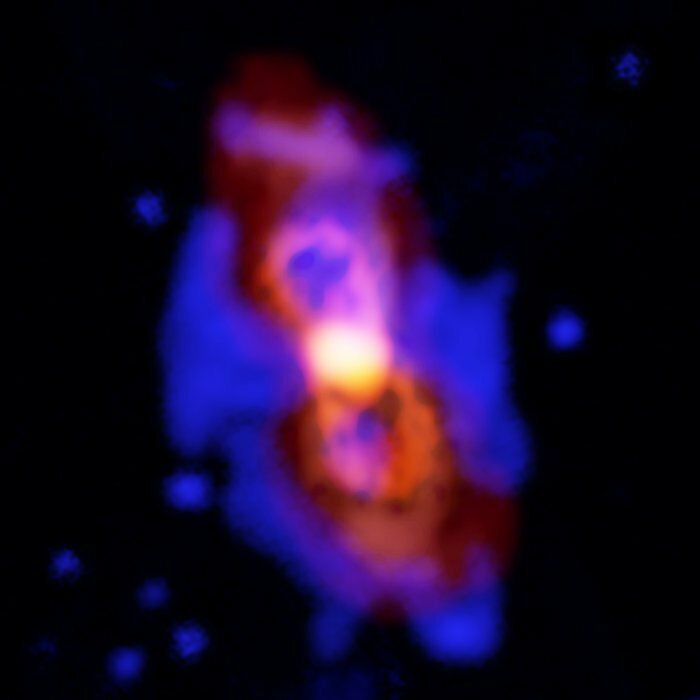 A team of astronomers at ESO using ALMA and NOEMA for the first time have discovered a radioactive molecule in interstellar space. The radioactive molecule is nothing but an isotope of aluminum. Using the Atacama Large Millimeter/submillimeter Array (ALMA) and the Northern Extended Millimeter Array (NOEMA), scientists were able to detect this source of aluminum-26. 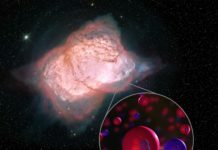 According to scientists, this isotope was scattered into space after the collision of two stars, that left behind a leftover known as CK Vulpeculae. The source, known as CK Vulpeculae, was first observed in 1670 and at the time it appeared to eyewitnesses as a splendid, red “new star”. 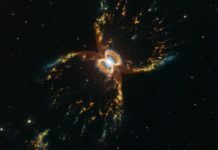 Despite the fact that at first visible with the naked eye, it immediately blurred and now requires powerful telescopes to see the remaining parts of this merger, a diminish focal star encompassed by a radiance of glowing material streaming far from it. Artist impression of the collision of two stars, like the ones that formed CK Vulpeculae The inset illustrates the inner structure of one red giant before the merger. A thin layer of 26-aluminium (brown) surrounds a helium core. An extended convective envelope (not to scale), which forms the outermost layer of the star, can mix material from inside the star to the surface, but it never reaches deep enough to dredge 26-aluminium up to the surface. Only a collision with another star can disperse 26-aluminium. 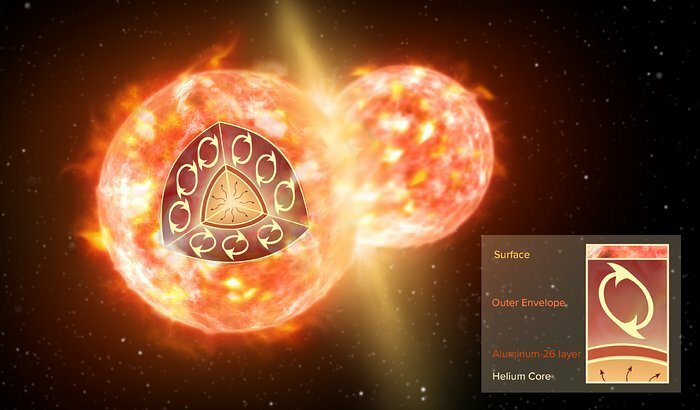 After 348 years from then, astronomers observed the event now the remaining parts of this explosive stellar merger have prompted the reasonable and persuading mark regarding a radioactive version of aluminum, known as aluminum-26. This is the first initial radioactive molecule authoritatively recognized outside of the Solar System. Astronomers detected the unique spectral signature of molecules made up of aluminum-26 and fluorine (26AlF) in the debris surrounding CK Vulpeculae, which is about 2000 light-years from Earth. As these particles turn and tumble through space, they transmit a particular unique finger impression of millimeter-wavelength light, a process known as rotational transition. 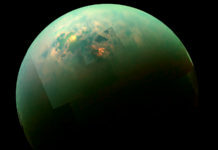 Astronomers considered it as ‘gold standard’ for detection of molecules. According to astronomers, this observation could help them gain better insights on how CK Vulpeculae formed. This wide-field view shows the sky around the location of the historical exploding star Nova Vul 1670. 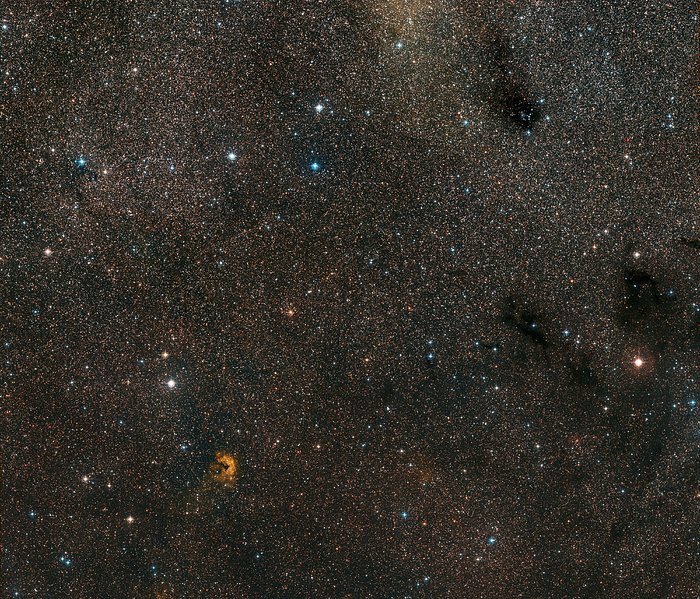 The remains of the nova are only very faintly visible at the centre of this picture. New observations made with APEX and other telescopes have now revealed that the star that European astronomers saw was not a nova, but a much rarer, violent breed of stellar collision. 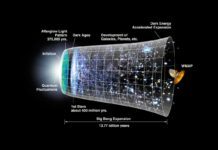 It was spectacular enough to be easily seen with the naked eye during its first outburst, but the traces it left were so faint that very careful analysis using submillimetre telescopes was needed before the mystery could finally be unravelled more than 340 years later. Along with this, the observation revealed that aluminum-26 will rot to wind up more steady and in this procedure, one of the protons in the nucleus decays into a neutron. Amid this procedure, the energized core discharges a photon with high vitality, which we see as a gamma ray. 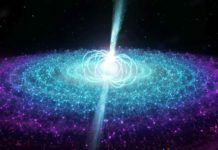 Previously, detection of gamma-ray emission have shown that around two solar masses of aluminum-26 are present across the Milky Way, but the process that created the radioactive atoms was unknown. With these new measurements, astronomers have definitively detected for the first time an unstable radioisotope in a molecule outside of our Solar System. Although, the group has inferred that the generation of aluminum-26 by objects like CK Vulpeculae is probably not going to be the significant source of aluminum-26 in the Milky Way. The mass of aluminum-26 in CK Vulpeculae is approximately a fourth of the mass of Pluto, and given that these occasions are so uncommon, it is profoundly far-fetched that they are the sole makers of the isotope in the Milky Way galaxy. 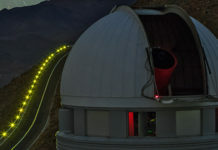 The research is published in the journal Nature Astronomy.